The GPON FTTX solution for OP151S is a new terminal mode for GPON solution, which is a variety of FTTB\ FTTO accessing ONT published by ZISA for carrier-grade FTTH network applications. It can be plug into Ethernet Switch , routers, DSLAMs, home gateway and other customer premises equipment SFP Slot to work as ONT or even MDU. OP151S supports standard OMCI, can provide up to 1.25Gbps uplink and 2.5Gbps downlink high-speed transfer rate. It can fully meet carrier-grade FTTB\ FTTO equipment requirement. 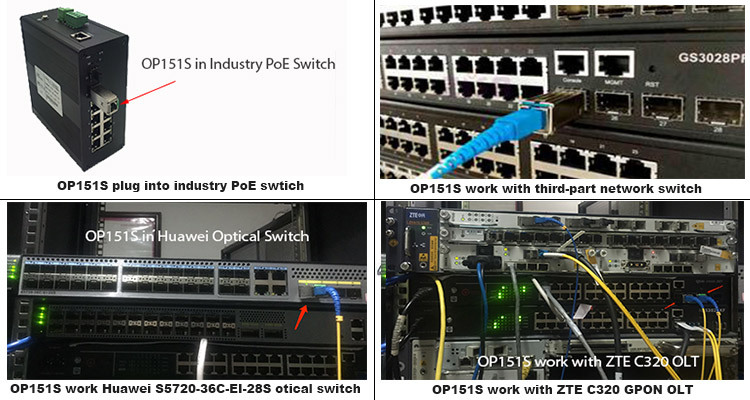 The ISP customer need not change the original FTTB Access Switch but just need OP151S to replace the uplink SFP, so that the whole solution can be replace from Active Fiber Networks to GPON solution, which protect your former investment. l Used with building switch, the solution can meet 10-50 using of users. l Used for SMB Office, and provide high-speed data service. l Used with DSLAMs ,Routers and so on, it is replace solution for uplink network reconstruction. l One GPON stick provide many services for many users, so reduce cost of network. l The solution is flexible，it works with Switch, Router, DSLAMs and so on, and has an enormous application range. 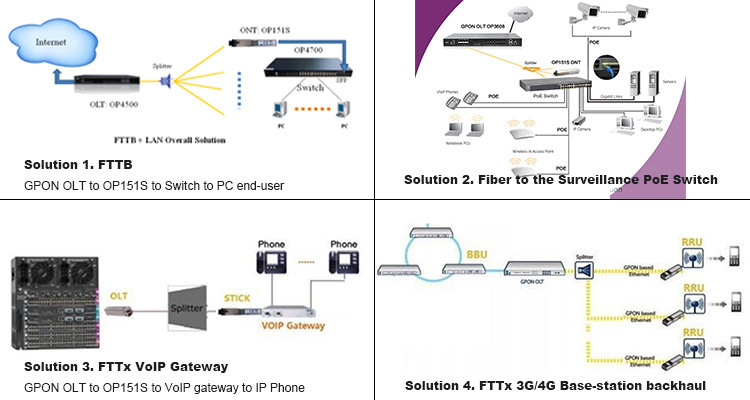 l the whole solution can be replace from Active Fiber Networks to GPON solution, which protect your former investment. GPON stick has been widely used in South America, Europe, Asia. Many ISP employ ZISA FTTB solution and make large economic benefit.